Watching a fair share of films on Turner Classic Movies as I do, it came to my attention that there seemed to be a sort of fad in the years following World War II of including ballet sequences in films, with Michael Powell’s The Red Shoes obviously coming to mind immediately as such a film. What intrigued me about this observation was that, if proven true, it would mean that the great non-conformist, Charlie Chaplin, had released a film that seems to conform according to trends in Hollywood at the time. This fact alone is interesting, but what if such conformity was at least partially on Charlie’s mind as he prepared this film, i.e., what if Charlie hoped Limelight might benefit from being similar to the critically acclaimed and very profitable The Red Shoes, released by Powell just four years earlier? Might it not then help Charlie get back into the good graces of that fickle and finicky American public with whom he was still out of favor? These, to me, became interesting questions to consider. I will mention briefly a little background needed to consider this argument. Monsieur Verdoux, released in 1947, was not a particularly successful film, and it can be argued that Charlie’s reputation at the time of its release was suffering from the two Joan Barry trials and a general belief that he was at the least a radical liberal—at the worst a Communist. Having gone rather far afield from his own experience to make Monsieur Verdoux anyway, Charlie decided to return to his roots and to the setting of the London of his childhood for his next film. Returning as he does to this more comfortable film environment, it’s not surprising that we find one of the lead characters to be a ballerina and the ballet itself to be an important part of the story. We already know of Charlie’s affection for the ballet; we can see it visually in many of his films, such as Sunnyside and The Great Dictator. As Charlie, Jr. tells us in his book My Father, Charlie Chaplin, “Every time a ballet troupe came to town Dad would take in the performance, not once but several times. He knew the stories, the music and all the parts by heart. He usually visited the troupe backstage afterwards and always extended a cordial invitation to them to come to the house on the hill. The famous Ballet Russe de Monte Carlo and the equally famous Sadler’s Wells troupe were guests at his home. Dad and the ballet dancers had a lot of fun together. Dad has never studied ballet, but he could mimic the dancers superbly” (231). 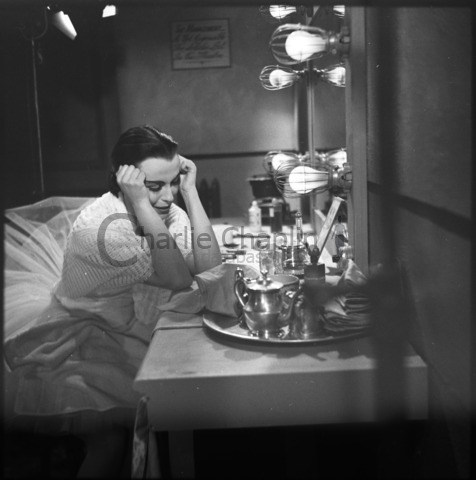 In fact, Robert Helpmann, one of Sadler’s Wells’ stars and a choreographer of The Red Shoes ballet-within-the-film scene, told screen writer Dudley Nichols that Charlie “was far better than he could ever be” (230). In a great article entitled “On Their Toes” written for the August 1981 issue of Ballet News, writer Rob Edelman offers a detailed history of ballet in film. He credits the success of The Red Shoes (earning a reported $30 million) and An American in Paris, released in 1950, as marking the beginning of the Hollywood ballet fad: “Between 1951 and 1954, tutus and tights replaced G-strings and bikinis on Hollywood sound stages” (14). Edelman then lists Limelight as one of some eleven other films that featured elements of ballet, including ballerina Moira Shearer’s film debut The Story of Three Loves and two Danny Kaye films, Hans Christian Andersen and Knock on Wood. The most important of these films, according to Edelman is The Red Shoes: “The film [being] to ballet what Stagecoach and The Maltese Falcon are to the Hollywood Western and whodunit: the definitive cinematic visions of the genres” (12). As I continued my research into this question, however, it became one of those “which came first: the chicken or the egg?” sorts of conundrums, kind of akin to the whole Réne Clair Á nous la liberté versus Modern Times debacle, i.e. is Á nous la liberté like Modern Times because Charlie plagiarized Clair or because Clair was heavily influenced by Charlie’s work in the first place? This came to mind when I found an interview with The Red Shoes director Michael Powell conducted by Peter von Bagh, a respected film critic who I met this summer in Bologna. Powell says sort of as an aside that “Chaplin, unknown perhaps a year before, in 18 months was known by hundreds of millions of people. That’s an example of a personality and a great clown, but it was equally true of great ideas and great images. In The Red Shoes and in Tales of Hoffmann [Powell’s second ballet film], there are dozens, maybe hundreds, of images which represent my life up to that time” (Michael Powell Interviews 138). 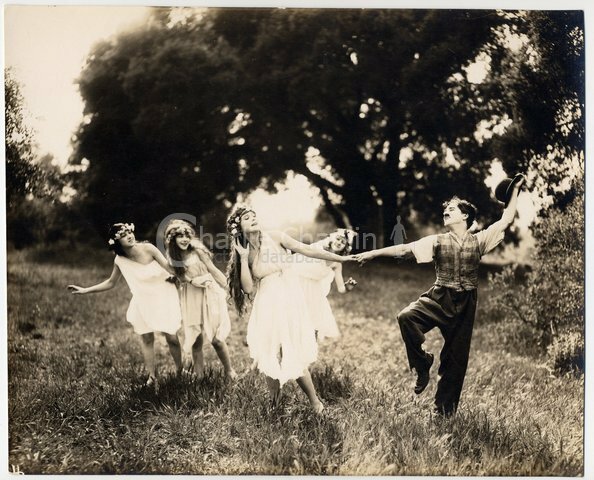 Clearly, as Powell seems to suggest, the ballet, if we consider it a sort of showcase of images, is the perfect forum for a silent film artist such as Charlie, above and beyond any personal affinity he himself may have had for the art and, obviously, regardless of any particular Hollywood fad. 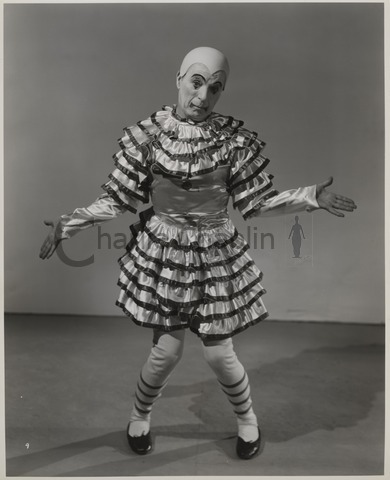 By contrast, in Limelight, Charlie has chosen to include only a scene or two from what is suggested to be a much larger ballet based on the 16th century Commedia dell’arte characters of Harlequin, Columbine, Pierrot and Pantalone, a form adapted in England in the 18th century and labeled simply “harlequinade.” These stock characters are generally placed in all sorts of situations that lead to comedy and slapstick of one sort or another, with Harlequin and Columbine always playing the star-crossed lovers. Charlie has obviously modified this for his ballet, which seems more of a tragedy than a comedy, although Calvero as Pierrot provides some comic relief in one of the featured scenes. 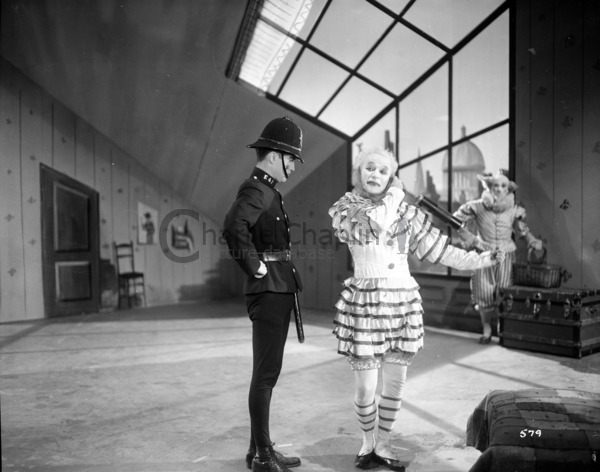 But, it is in this adaptation of the harlequinade that Charlie achieves a similar purpose to that of Powell’s longer film ballet; he succeeds in encapsulating the film’s plot, or, at least, one possible plot, in a relatively short series of scenes. I would suggest here that “life versus art” is also Charlie’s theme for Limelight—at least one possible theme—and one emphasized by his ballet as well. So, after researching and then discussing the ballet, as used in Limelight and The Red Shoes, I think it would be difficult to say whether or not Charlie consciously decided to jump on the ballet-in-film-fad band wagon with this film or simply tell a familiar-to-him story in his own way. It is clear, though, that Limelight failed to either be as financially successful in the States as The Red Shoes or to win his American audience back. Really, it never got the chance to do either, succumbing quickly as it did to the boycotting expertise of the American Legion and the heavy-handedness of the INS (Immigration and Naturalization Service) upon Charlie and family’s attempt to travel to England in late 1952. But that’s another story.